Nautical by Nature: Marley Lilly Monogrammed Scarf Giveaway! The winner will receive a monogrammed scarf from Marley Lilly! I LOVE the Cashmere Feel Scarf in Hot Pink and think it would look amazing with green monogram! Their prices are great! Perfect for Christmas gifts! I follow your blog! I am LOVING the zebra print one! I love the periwinkle blue scarf, and I also love the houndstooth print. I liked Marley Lilly on FB. course can't go wrong with pink too! am a n by n follower too! I love the Hot Pink Fuschia in Cashmere Feel Scarf with a black scripty monogram. 1. I "like" Marley Lilly on Facebook. 3. I tweeted about your giveaway. I love the scarf in berry color! I love monogrammed pashminas and the marley lilly site. Also love your blog, of course! I would get a hot pink scarf with the sydney monogram in green. Nice! My favorite is the ivory plaid. I'm also a follower! What a great website, Im so glad I learned about it! I also am going to "like" Marley Lilly on FB right now! I love the houndstooth with the red monogram! Plus - I follow your blog, liked Marley on facebook and retweeted the post. And I am a news*anchor* so that's how I found your blog because I too love all things nautical! hey there! what a great giveaway! 2) my fave pattern is the houndstooth! 3) i follow you each and every day! 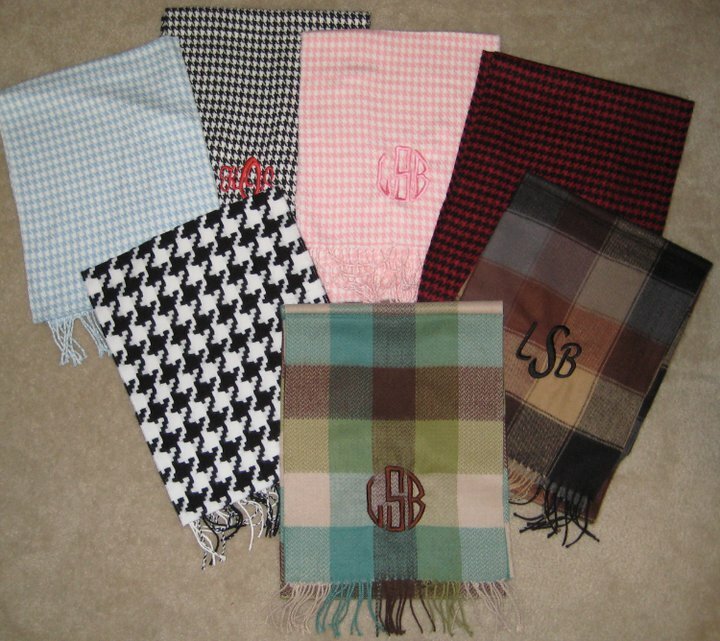 1.My favorite is the large black & white hounds tooth with red monogram. I love the black and white houndstooth!! and I liked them on facebook, and I'm retweeting about this!!! Thanks for the great blog, I follow it every day! I like the houndstooth or the zebra! I think I have just found christmas gifts for all the girls! I love the black and white houndstooth with a pink monogram! 1. I love the light pink cashmere feel scarf. 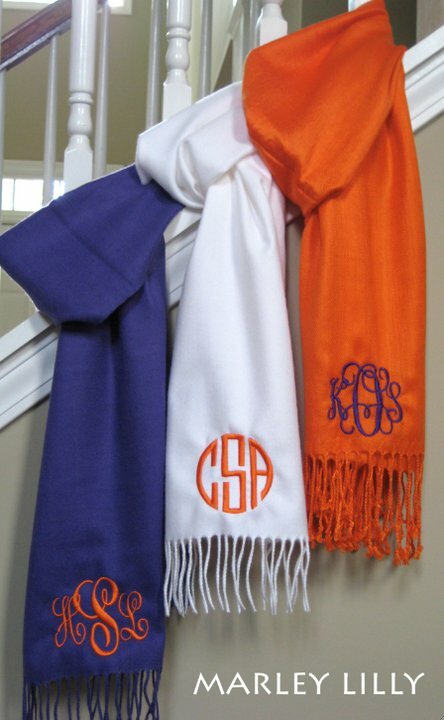 I think it would look classy with a black monogram but I do love the orange scarf with the purple monogram. 3. Of course I am a follower! I love the pink scarf with the navy monogram. I also like Marley Lilly on facebook and follow your blog! Um how fun! I love them all but the leopard and black/white check are both super fun!! I will follow now on FB. I of course follow your blog too! These are all so great! If I won I'd choose the baby blue plaid -gorgeous!!! Thanks for the chance to win -I keep my fingers crossed! I'll be tweeting about this giveaway!!! Pink plaid is my fav color - although you can't go wrong with any of them!! I am a follower! I love the light blue cashmere feel scarf. Maybe with dark grey monogramming! I also like Marley Lilly on facebook. I would go for a camel scarf with a navy monogram. I'm a follower! I'm loving the Cashmere Feel Scarf in Dark Grey -- with a black monogram! I "Like" Marley Lilly on Facebook! The herringbone pattern scarf with pink monogram is so cute! I follow your blog and I tweeted about this contest! I am loving the Ivory or Pink plaid one. So many cannot decide! Love the dark grey cashmere feel scarf. Cashmere Feel Scarf- camel LOVE this giveaway---stunning!!! I like ML on facebook!! Presh stuff! Obviously a follower, I just liked Marley Lilly on Facebook, and will be blogging about this soon! I would probably do the pink plaid with a blue monogram, so cute! I love the Cashmere feel scarf in camel with a navy monogram or coffee with a cream monogram on it! SOOOO cute! Thanks for hosting this! I'd have to get an orange scarf with a blue monogram for my Gators! I am a blog follower. 1.) I am a follower! 2.) I would love a black, white, or garnet scarf so I can wear it at football games!! I LOVE the black and white (large) houndstooth print. Classic! my favorite is the solid pink with monogram - it goes with everything i own! navy is versatile too! I love the pink & white checkered - these are all beautiful! I love the Cashmere feel scarf in hot pink! Love the Houndstooth with a lime green monogram. I follow your blog! So fabulous! I love the hot pink scarf! 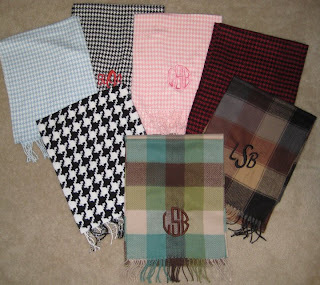 I've never seen monogrammed scarves like these before! I love the Large Black and White Houndstooth Scarf- I'm a follower of Nautical by Nature, I like Marley Lilly on Facebook, I posted about the Giveaway on Facebook, and I tweeted about it!!! I NEED an orange scarf with green stitching... for the U of Miami, of course! 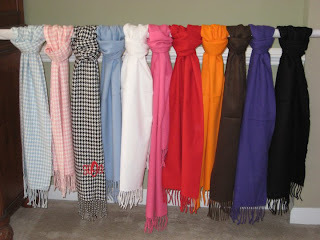 and I'd love the hot pink scarf- with a black or white monogram. And I like on FB! 1. I adore the cashmere feel scarf in teal/brown squares- one of my favorite color combos! 3. I blogged about the giveaway! 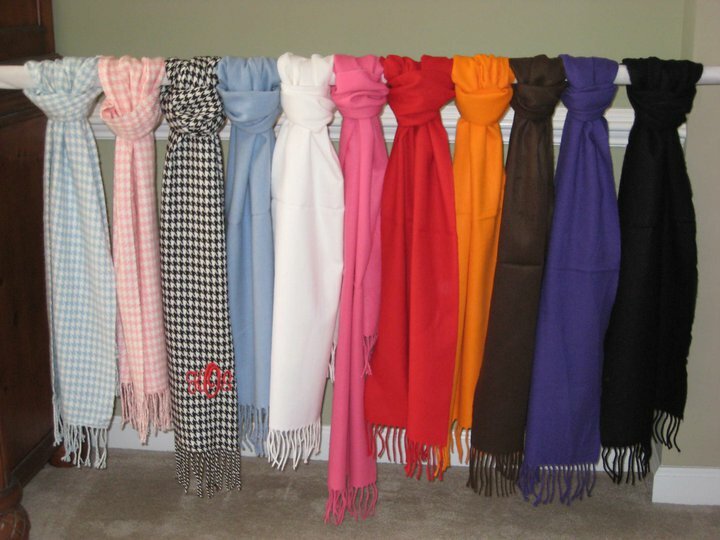 SO difficult to choose--I think I'd pick a solid gray scarf w/ a pale pink monogram (or maybe navy monogram). I already follow/like Marley Lilly on FB. I love the Cashmere Feel solid scarf in orange, with a white monogram. Orange and White for my beloved Vols!!! I like the purple Pashmina. I would choose the solid color camel pashmina! Love the light pink/white houndstooth print!